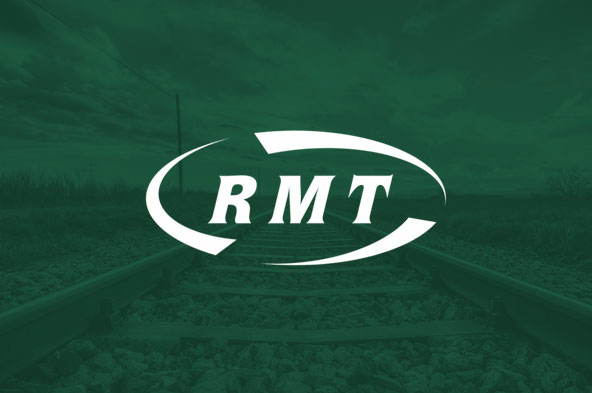 RAIL UNION RMT has confirmed that strike action on Northern Rail remains absolutely rock solid on its 45th day this morning as the company snubs all efforts to get talks going and ploughs on regardless with its plans to throw guards off their trains and rip up the safety rule book. “RMT members across Northern Rail are standing rock solid and united again on this 45th ‎day of strike action as the company ploughs on regardless with its plans to throw guards off their trains and resorts to a barrage of complete misinformation aimed at the travelling public over their clear intention to introduce widespread driver only operation. “It is the sheer determination and unity of our members over 45 days of action that has kept the fight for safe and accessible rail travel for all across the Northern franchise in the spotlight while the company refuse to get out of their bunker and enter serious talks around the core issue of the guard guarantee. "If Northern are prepared to stand in front of a TV camera rattling on about the second person on their trains then why aren’t they prepared to put some fresh proposals on the guard guarantee in writing to the union? “While this basket-case, German-owned company is fattened up for sale off the back of British-taxpayer subsidies and bail-outs it has only been the resilience of RMT members, and our supporters from the ‎travelling public, whose solidarity has been instrumental in keeping the focus of the dispute on the campaign for a guaranteed second person on the train with the full suite of safety competencies.